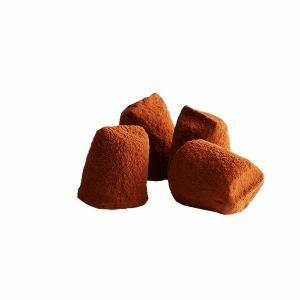 French cacao truffle – Available in more than 25 flavors, this traditional recipe has made Mathez famous throughout the world. Fruity, fine and gourmet with or without sparkle, there is something for every taste. 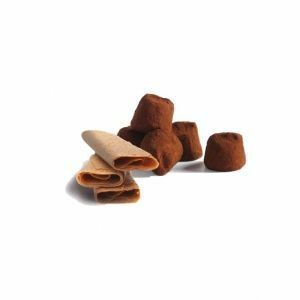 With Fantasy Truffles, choose quality and originality. Created from selected raw materials, the Fantasy truffle ensures a unique taste experience. Smooth and melting, find all these recipes in most of our collections. the classic of French pastry. 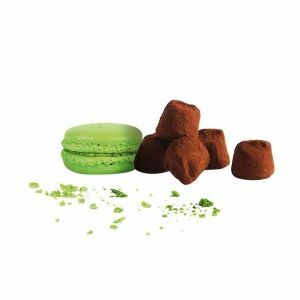 Discover in more detail one of our “so Frenchy” recipes from our range : “the plain macaroon chocolate truffle”. 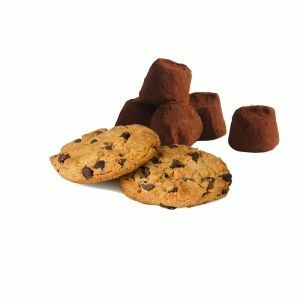 A cocoa truffle sublimated by the inclusion of natural macaroon chips, carefully selected. Chocolat Mathez has always known how to combine textures, create alliances and satisfy the curiosity of the taste buds. With Mathez truffles, choose quality and originality to live a unique sensory experience. 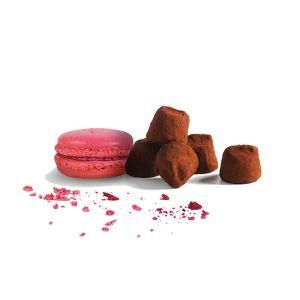 Let yourself be seduced by the crunchy texture of the broken macaroon, inside a melting truffle, sprinkled with slightly bitter cocoa. When the world of French pastry and chocolate meet, we witness a real gustatory success. 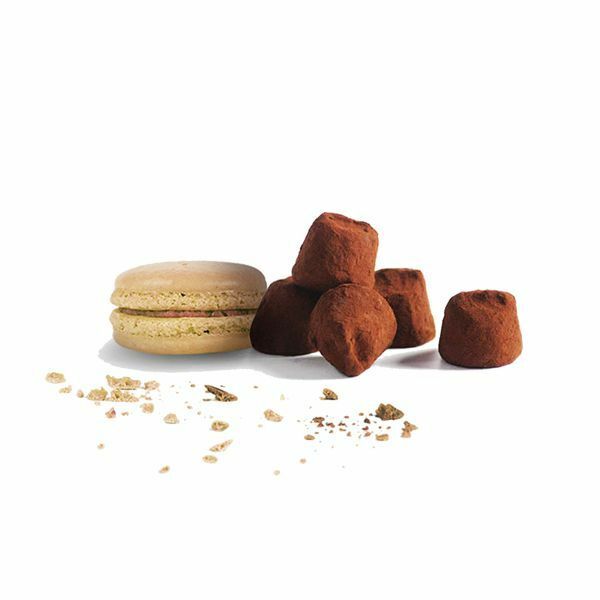 Succumb to the delicacy of the marriage between the macaroon and the melting heart of the truffle.